Cast on 11 stitches, placing marker after stitch 4. Row 1: K1, yo, skp, knit to marker, sm, work row 1 of zigzag pattern. Row 2: Work row 2 of zigzag pattern, sm, knit to last 3 stitches, yo, K2tog, K1. Row 3: K1, yo, skp, knit to 1 stitch before marker, Kfb, sm, work row 3 of zigzag pattern. Row 4: Work row 4 of zigzag pattern, sm, knit to last 3 stitches, yo, K2tog, K1. Continue increasing 1 stitch before marker every 4th row and at the same time work the 16-row zigzag pattern. When you have used approximately ½ the ball of yarn, begin decreasing row 3 (replace Kfb with K2tog). Work until you have 4 sts after marker and cast off all stitches. 1 RS yo, K2tog, knit to last 4 sts, yo, skp, yo, knit 2 – 8 sts. 3 RS yo, K2tog, knit to last 4 sts, yo, skp, yo, knit 2 – 9 sts. 5 RS yo, K2tog, knit to last 4 sts, yo, skp, yo, knit 2 – 10 sts. 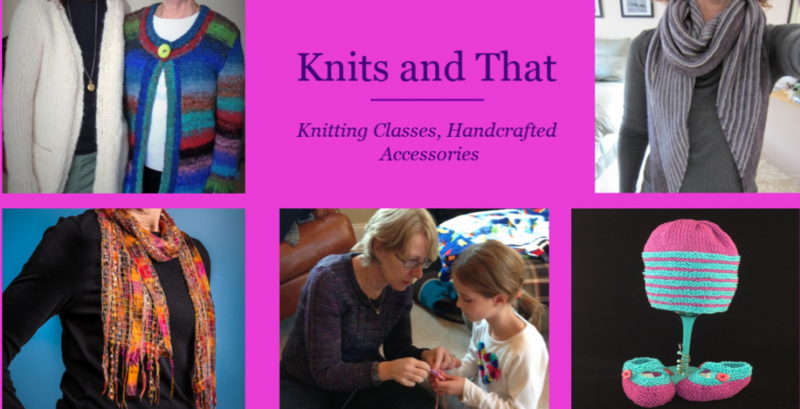 7 RS yo, K2tog, knit to last 4 sts, yo, skp, yo, knit 2 – 11 sts. 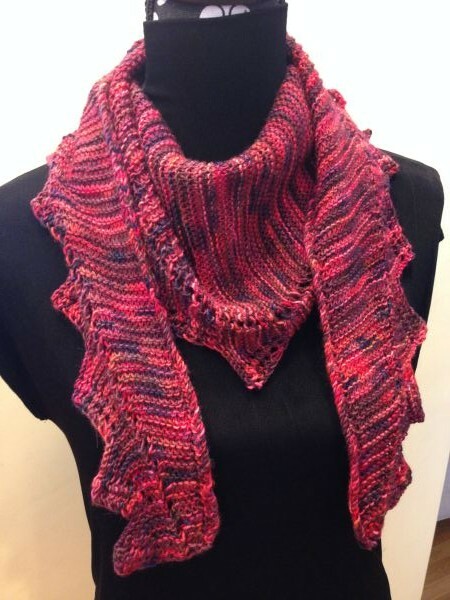 9 RS yo, K2tog, knit to last 4 sts, yo, skp, yo, knit 2 – 12 sts. 11 RS yo, K2tog, knit to last 4 sts, yo, skp, yo, knit 2 – 13 sts. 13 RS yo, K2tog, knit to last 4 sts, yo, skp, yo, knit 2 – 14 sts. 15 RS yo, K2tog, knit to last 4 sts, yo, skp, yo, knit 2 – 15 sts. 16 WS Slip 1 purlwise WYIF, cast off 8 stitches, knit to marker – 7 sts.